Sooooo I had been on the hunt for the Target Threshold Brass bar cart for what felt like forever. It seems like in the Canadian Targets we never get all the stuff that the U.S. Stores get, or we seem to get very limited stock of it which is disappointing.... especially for Target lovers like myself. So after searching and not finding it I decided to take matters into my own hands. 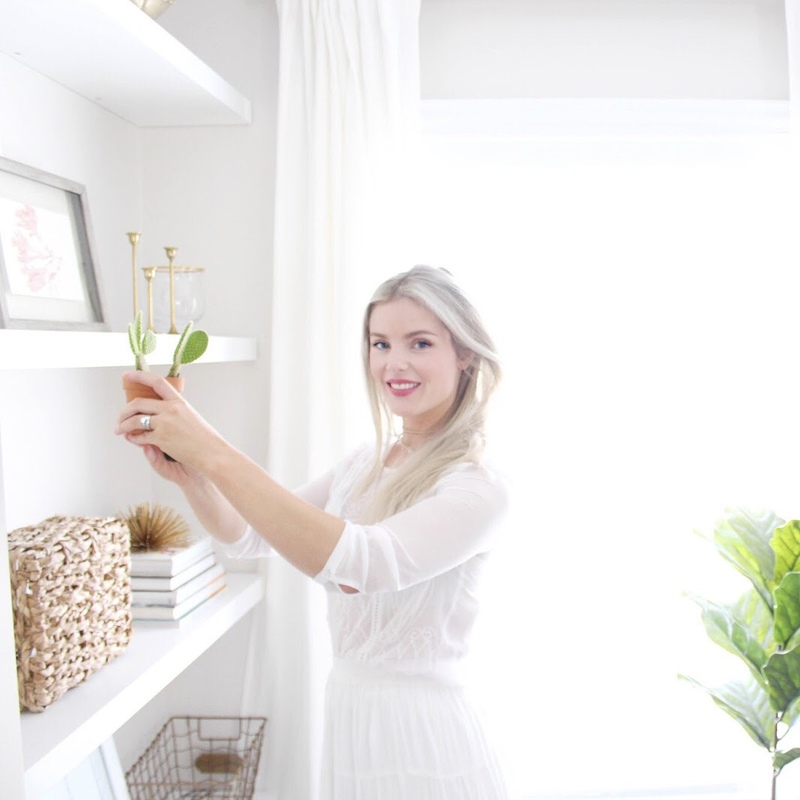 Along with loving Target I also have a strong love for Ikea and when I spied this ugly little utility cart on their website and saw what other bloggers had been able to do with it I knew there was hope! Enter the Ikea Bygel Utlity Cart. Now this little puppy is pretty ugly looking on the website, it looks sterle and just not something you want to place in your dining room. However for a mere 29.99 plus shipping it has great potential! I picked up some Krylon Metalic Gold spray paint and sprayed that bad boy down until he was glistening with gold goodness. However in hindsight this is def more of a darker, brass ish gold and in the future I would probably opt for Design Masters gold which seems to be a little more of a true gold. However, none the less I loved the outcome and it will serve us nicely as a little bar cart! This project was super simple and fast which are like my two favourite things in a project. 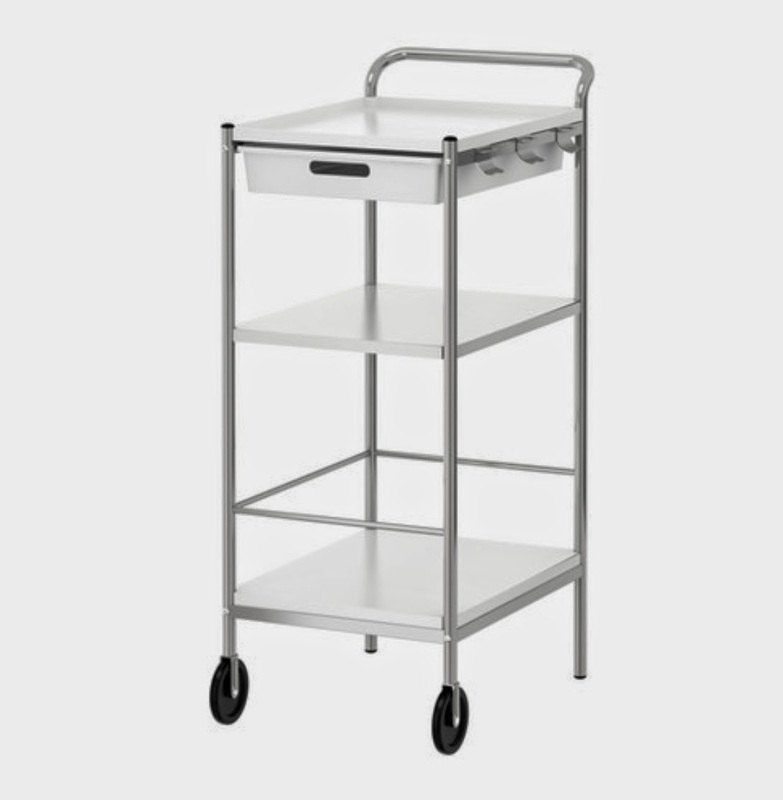 I still may have to get the Threshold bar cart if I do happen to ever see it because I feel like this Ikea cart would be super cute as a deck Bart cart were it's so small and portable! Hope you guys enjoyed this transformation!